Tempest Storm at her film screening in Toronto Canada. Photo by Black Umbrella Photography. A political dispute has stripped next year’s Burlesque Hall of Fame festival of its greatest living legend. Tempest Storm says she’s done with the BHOF event, held each June at the Orleans hotel-casino. The groundbreaking superstar, whose stage career spanned more than 60 years, remains a fan favorite and has been spotlighted each year at the event’s “Legends” tribute show. Tempest Storm in 1955. Photo unknown. 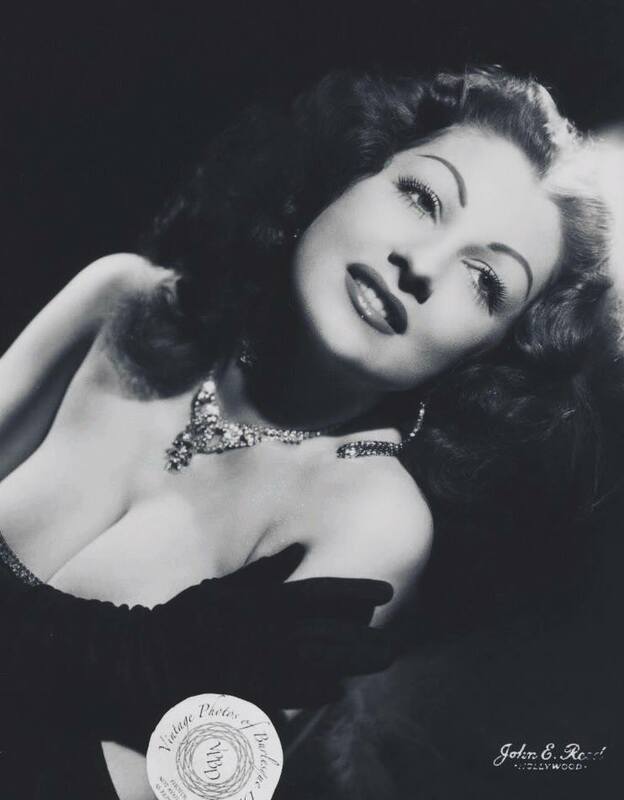 The first woman in burlesque to command a six-figure contract (in 1956, no less), Storm says she is refusing to attend the festival, nor will she authorize an in-the-works screening of her new documentary, “Tempest Storm,” as part of the BHOF festivities. She has been busy crisscrossing the country promoting the film, much of which was shot in Las Vegas. 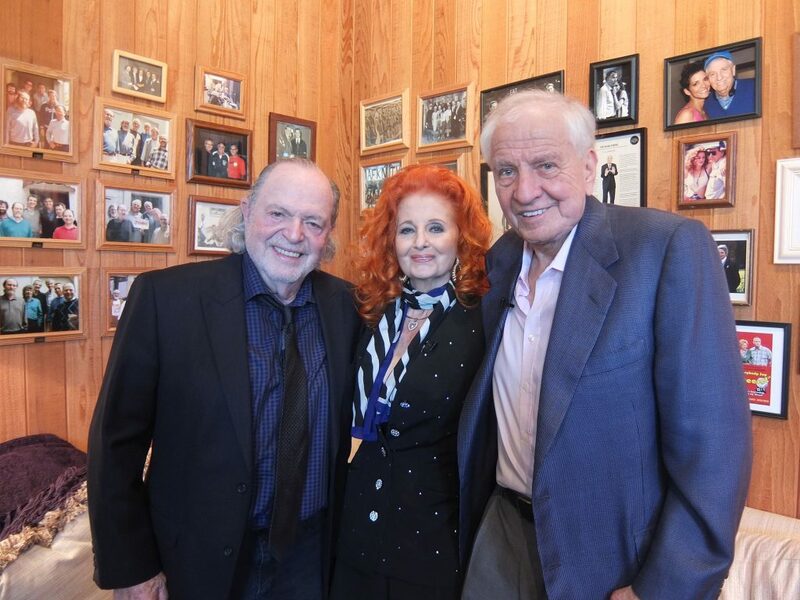 Manager Harvey Robbins, Tempest Storm and legendary Hollywood director Garry Marshall. The post ended with a link to Robbins’ own blog page, where he has posted several pro-Trump missives. Storm followed with a second post Nov. 2, which replaced the original, and was written in her own words through her FB manager (she and Robbins had collaborated on the first post). Storm’s support of Trump drew a cascade of angry comments — many of which have since been removed — arguing that Trump’s positions have not reflected the all-inclusive spirit of burlesque. But several fans and performers jumped in to support Storm, too. Among those concerned with Storm’s posts was Burlesque Hall of Fame Director Dustin Wax, who quickly contacted Kaitlyn Regehr, one of the producers of Storm’s documentary. Wax said he was worried about the response Storm would receive at next year’s BHOF events for backing Trump. Word of that conversation reached Robbins, then Storm, who took Wax’s concerns to mean she had actually been banned from the event. Tempest Storm at the height of her fame in the 1950’s. Storm’s absence is a significant, and unfortunate, turn of events for the Burlesque Hall of Fame as it plans to move into a new space next year at Arts Square in the Las Vegas Arts District. Storm herself is a Hall of Fame inductee and a leading supporter of the organization since moving to Las Vegas in 2006, when then-BHOF museum curator Dixie Evans relocated the collection from its ranch property near Helendale, California, to downtown. Each year during the four-day Burlesque Hall of Fame event, Storm has welcomed fans at the entrance of the 600-seat Orleans Showroom, signing memorabilia and posing for photos. The release of her documentary and new BHOF display space have made next year’s festival a particularly important moment for both parties. Now, the public politicking has soured Storm’s relationship with the Hall of Fame in her own home city. Tempest Storm in 1953. Photo unknown. The verdict, she says, is final.